Ah, restocking. That time-old classic that as many will tell you is where most people bring in their money. But what IS Restocking, and how do you do it? 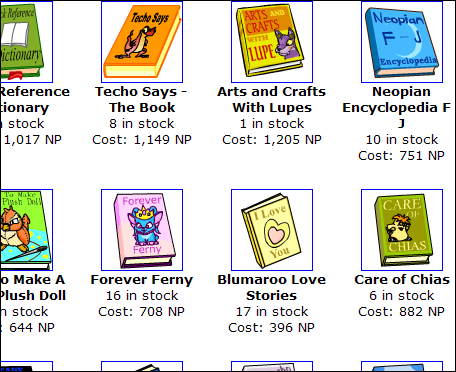 Restocking is buying items from the official Neopian Shops and selling them at a higher price via your OWN shop. You'll come to find that most items sold in the Neopian Shops can be so much cheaper than the profit you can make from them. A decent internet connection (broadband): Dial-up isn't good for restocking effectively, though it's possible in theory. Neopets advertisements blocked: This will make pages load a lot faster (and hence give you a better chance of grabbing a good item). We have a few articles on how to do this in a number of browsers in our tutorials section. Your own Neopian User Shop . Remember that the world of restocking is EXTREMELY fast-paced and you will require a LOT of patience if you are to succeed. You'll want to know where to begin at first. Well, for a start, you'll need about 50,000 NP if you want to start earning. You'll need to make an investment. Firstly, start off at the reccomended RS-Newbie shops: Food and Book . Now it's time to learn exactly what to do! Make sure that you have a lot of money on hand - 20k minimum. You'll need it, as you shall see. To start, refresh at one of the shops you have chosen to use. Don't try more than one shop if you're a newbie to the RS world. Until June 2006, there was a set time that shops would restock, but now it's totally random, and you need to refresh to see if the shop has restocked. It's up to you how often you choose to check for a restock. If you refresh too often, like once a second, you run the risk of being restock-banned fairly quickly. However, if you wait too long, the shop may have restocked without you noticing and you may have missed out on some good items. Seasoned restockers advise refreshing every 5-10 seconds, especially in shops with high traffic. Once it has restocked, and there is a bounty of new items, you'll be ready to begin. I'll be restocking in Books for this demonstration. Click on any item. If you're quick enough, you'll get onto the Haggle page. Instead of instantly buying it for the price specified, you must in fact HAGGLE for the item. 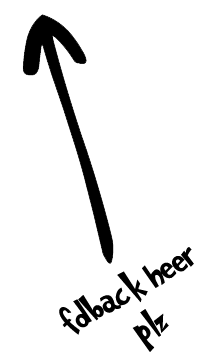 This means placing an offer within a reasonable amount of the displayed price. Look at the price of the item you're going for. Now, if I were to copy that number onto the haggle page it might take me a lot longer than necessary, so I'm going to simply type my offer as quickly as possible. There's a simple method to picking fast and easy-to-type offers. Notice that on your keyboard, the numbers 8, 1, and 4 are spaced far apart - thus, '814' is slower and harder to type than, say, '888'. Same digit numbers (777, 333, etc.) and numbers next to each other (123, 7878, etc.) are the offers that you will always want to go for when haggling. After you have typed your offer, you'll need to click on the image. Do NOT simply click anywhere - click on the NEOPET. You're going to have only seconds before the item is sold out, so don't read anything, don't be slow, just DO it and get into the habit of noticing where the darker areas of the pictures are and click there. 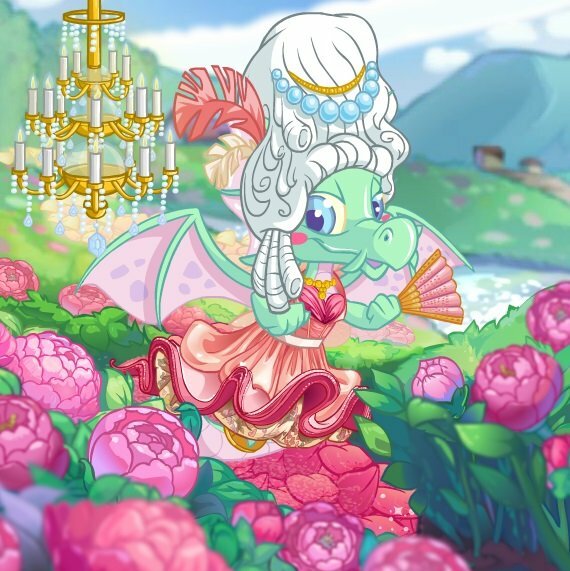 Don't waste time looking at the image in detail, just click on the Neopet! Now isn't the time to get up for a cup of tea, though. Go straight back to the shop and see if there is anything else to buy. Usually, in places like Books, there is only profit to be made. If there is just one book left, and there are quite a few of it, this usually indicates its not profitable (hence no-one is buying it) so leave it. One pointer is that newer shops (that have newer items) such as Altador Magic and Brightvale Scrollery have items worth quite a bit. Tiki Tack is the worst. Never, ever, ever even LOOK there. Lastly, items sold for more than 5k are usually pretty good (in Books, at least). Anyway, now for actually EARNING that money. Once a shop has finished restocking and everything is sold out again, you have about 5 minutes to Restock your shop. Some choose to carry on buying for an hour and THEN restock with lots of items. To do this, its best to go to Quick Stock and select the items that you wish to restock with. Stock them in your shop and then copy the first item name over to the Shop Wizard . See how much it's being sold for at first. Let's say its, 1200 NP (you'll probably notice it's being sold for more than you paid for it!). This shows that another Neopian has purchased the same item as you and is selling it at that price. But if you want to sell before them, you'll have to go cheaper than the cheapest price. Refresh the page. Is the top price cheaper? If so, then make a mental note of it and refresh again. You'll need to refresh about 7 times (whether or not it was a cheaper price) to get an idea of how much other people are selling it for. In the case of the item I bought, the average price was about 1500 NP, but the cheapest I saw it for was 1420 NP. I also noticed that there were major differences in price for some refreshes - from 1600 to 2200 NP. I had to refresh quite a few more times to get more results, so that I could determine which price was the cheapest. As I mentioned, the cheapest I saw it for was 1420 NP. So if my item is to sell quickly, or actually sell at all, I'll have to sell it cheaper than that. You'll want to price the item in your shop anywhere between 10-100 NP lower than the cheapest price you saw. I've decided to sell mine for 1399 NP. There! It's now up for sale at a price that is bound to get some people attracted and purchasing it. You should expect it to go within two days maximum, but usually within six hours - after a day, if it's not sold, check that you still have the cheapest price. You may not and readjusting this will make it more likely to make that sale. There's always someone out there who will want it, but will want it cheap. If you're getting better, and can Restock quite a few items per restock - three is good - make sure that you have about 4 different shops open in different browsers/tabs and Restock in those. The items are random so it's going to be hard; restocking is NOT easy. It's very time-consuming but the rewards can be great, especially if you Restock some expensive items. Also, at times like Christmas, Wintery Petpets is the best place to be, but so many people are there you have to be fast. All Christmassy things are worth more in that season, as are Romantic things etc. in February. Once you're pretty good, the best shops to try and Restock at are the Magic Shop, Stamp Shop, and the main Petpet Shop, as the items in here can be worth a LOT of money. If you view a shop and your account is less than 3 months old, items above a certain rarity will not be visible to you. Don't sit at your computer for days on end waiting and refreshing. For a start, you can get a Restock Ban - this means that for a certain time period (anywhere from 1 hour to 2 days), the Neopian Shops will never restock (for you). You won't get informed of this, but refreshing too much will just stop the Restocking happening. Likewise, using the Shop Wizard too much will get a notice saying that you've been banned from his services for an hour. GET USED TO YOUR KEYBOARD! You need to know where keys are to type in haggles (e.g. 8989) nice and quickly. Please, please, please: be patient. You won't get rare items for sale for quite a while if you're not that great. Just be satisfied with the sales that you get - it's NP, after all, so you are making a profit. Just have patience and one day you may restock something worth a huge amount - then you'll be pleased with yourself! Good luck with Restocking - you can make lots of cash if you put your mind to it! Thanks to neopets user stampd for his refresh info!